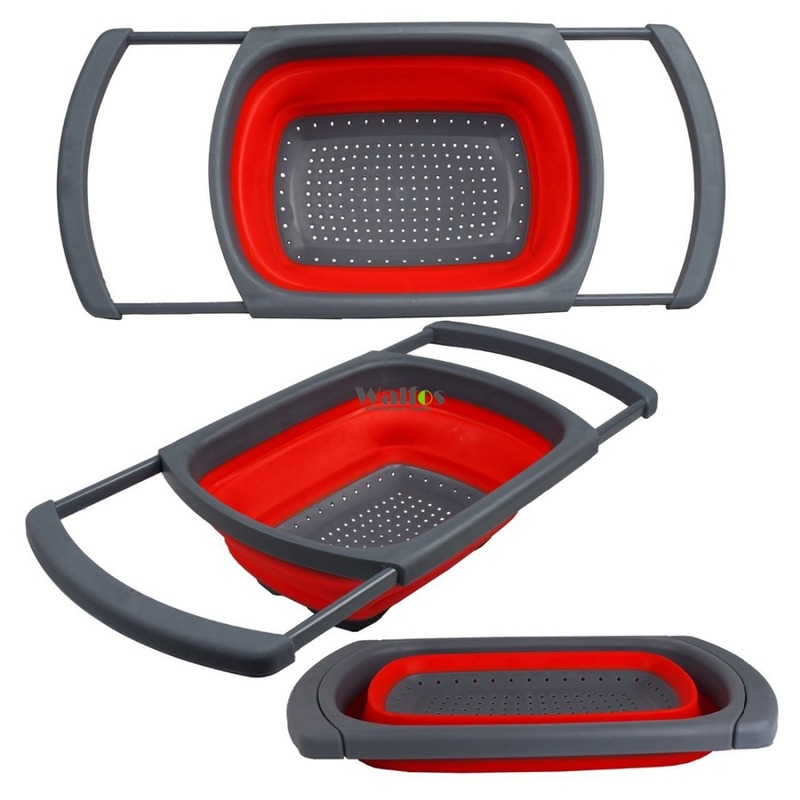 Use this wonderful colander for all your kitchen straining needs. Works for pasta, potatoes, broccoli, and all kinds of vegetables, including leafy greens. 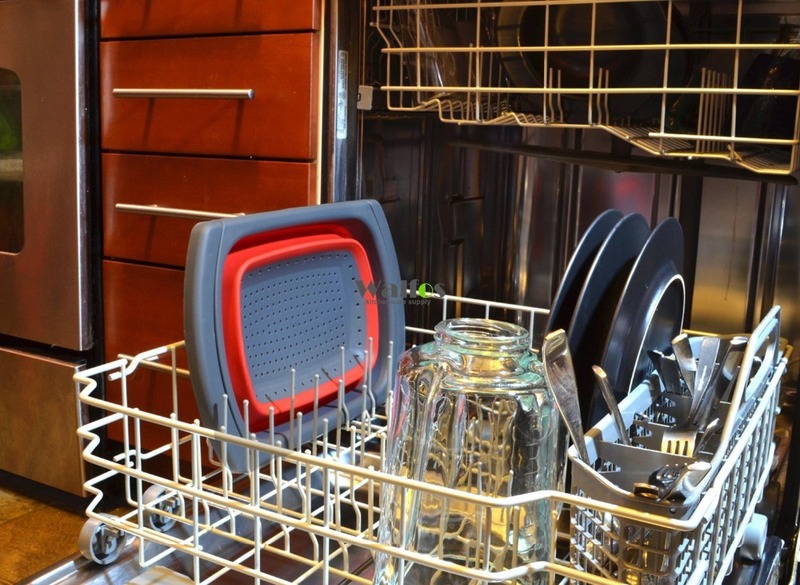 Made from environmental and safe material, easy for cleaning. 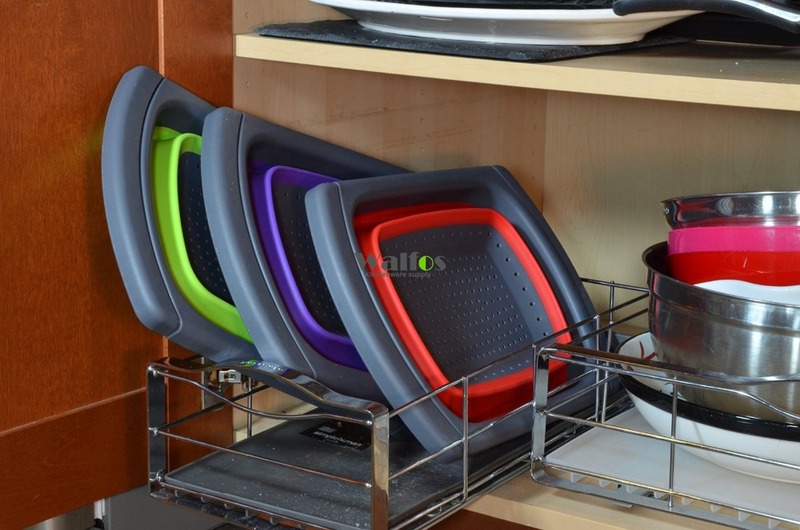 Space saving design, ergonomic and comfortable handles. 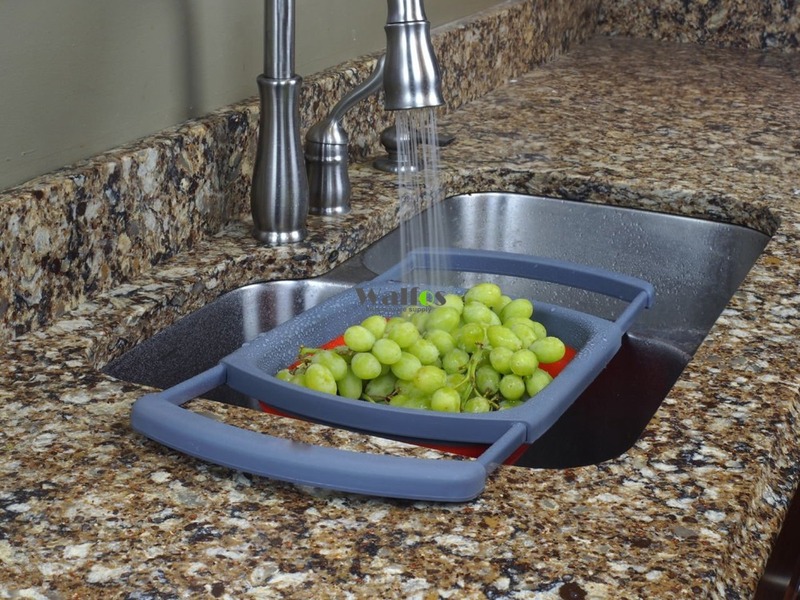 Extremely durable collapsible handle, flexible and durable for almost any sink sizes. 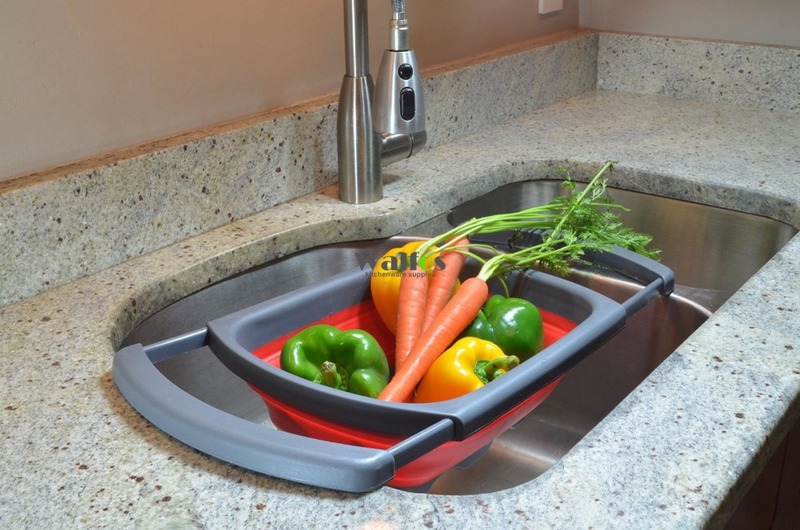 Expands up to 24″ in use and then collapses down to a fraction of the size for easy storage. Heat resistant up to 600°F, can be immersed in boiling water. 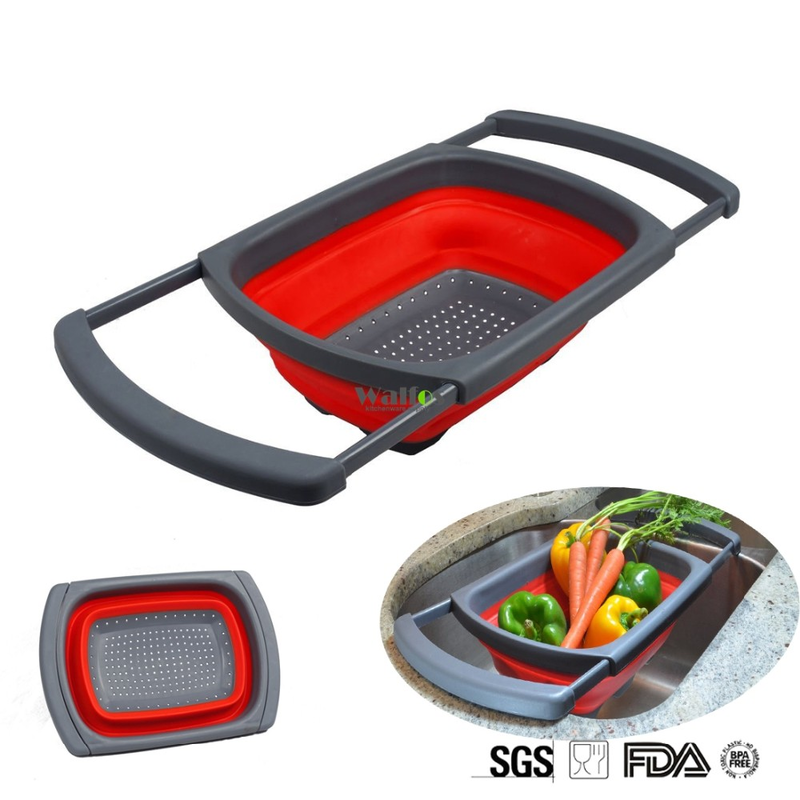 Use for all your straining needs from fresh fruits, leafy greens to pasta, potatoes and so much more. All Original WALFOS Brand products are made of Food Grade, no odor, BPA Free high quality material. We use this high quality material because it is safe for people to use it in oven, fridge and it is safe for your health. 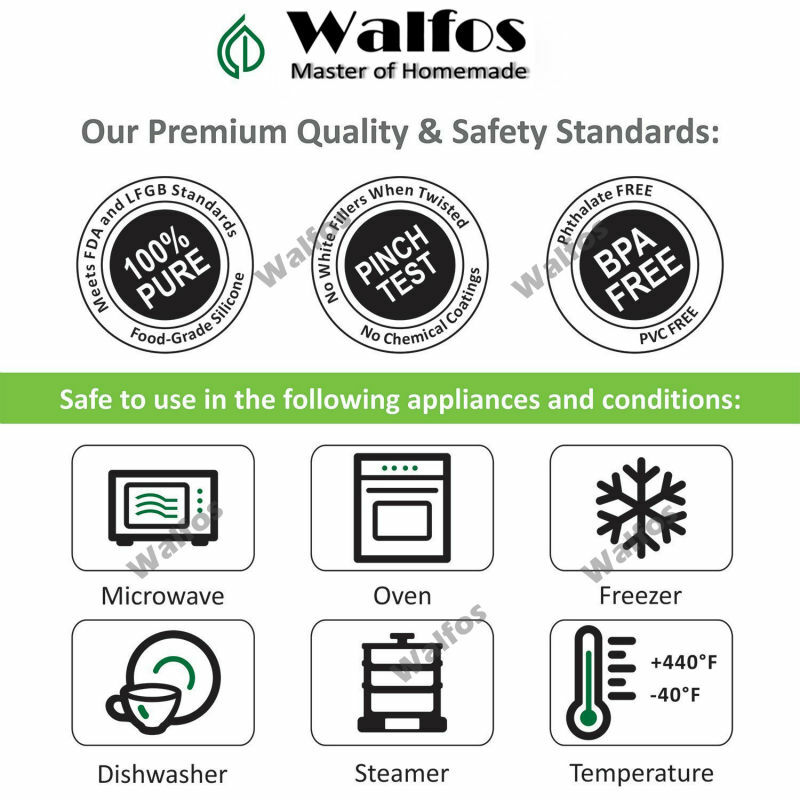 You and your family will love and enjoy WALFOS high quality products. We are proud to offer international shipping services that currently operate in many countries and islands world wide. Nothing means more to us than bringing our customers great value and service. We will continue to grow to meet the needs of all our customers, delivering a service beyond all expectation anywhere in the world. Due to the huge difference in postage costs, we are limiting our shipping to selected countries only. If you see an item that you would like to purchase and is not available directly from our store, contact us and we will provide a shipping quote. If you did not receive the product within the guaranteed time(60 days not including 2-5 day processing) you can request a refund or a reshipment. Your order did not arrive due to exceptional circumstances outside the control of housewaredelight (i.e. not cleared by customs, delayed by a natural disaster). Non-Stick Silicone Oven Baking Mat DIY Multifunction 36cm*28cm. Baking tool / cake pad for Swiss rolls and more! Subscribe to receive our exclusive, special offers!